What is the bike you should look for With countless brands of them out there? We Love Bikes because they are a source of extreme fun, Now you decide to make your move and finally have you dream bike, but as you set out, you find yourself in an ocean of different bikes and opinions, then confusion take over. Don’t worry, this happens to most people, especially with so many choices out there. It happened to me too when I bought mine. It can be very confusing indeed. I researched for so long before I grabbed my first rugged high quality e-bike, “see picture under”. Then I decided to write this post about my experience – The Electric Bike You Should Look For – and hope this will help you choose your right solid bike. I was born with burning passion for bikes. My Mom bought me my first Tricycle kid’s bike when I was 4 years old in 1964, I can never forget that day. I was so glued to it, I skipped many meals without any feel of the slightest hunger in the first weeks of the bike. It was the first and last bike until a few weeks ago when I decided to make my second move on a bike at the age of 58. It’s true, When you have a passion for something, it never fade away. I bought the Addmotor Motan Electric Fat Tire Folding Bike – “see it below”, “so far so good”, I’m like a kid again, I take around for almost daily summer evening rides towards the beach, I only live a few blocks away from the Atlantic ocean In Long Island, New York. My noisy neighbor Charlie took it around a couple of times too and became so fond of the idea, and now he is thinking of getting one. I hope he does and leave my bike alone. This bike wasn’t really that cheap, I paid $1,499.00 for it. There is more expensive and cheaper bikes out there — “In the bikes world”, you get what you pay for. This was my first bike after so many years, and I wasn’t about to screw it up for a cheap sheep. What Bike You Should Look For? With so many different categories, brands, and different bikes of different purposes, you must come up exactly with what you want from your bike. To make it clearer , look at some of the categories these bikes go under, this should give you deeper insight towards your target bike. A hybrid bike is a bike that absorbs the best characteristics of both road and mountain bikes into a bike that is solid, comfortable and fast, and ideal for riding on streets and other bike paths. The bike also features Lighter rims for faster riding and Lighter components and taller gearing for speed. A fixed gear bike are bicycles with pedals directly attached to the motion of the cog with a chain. The cog is a circular tooth part where the chain and the pedals are attached. A road bike is suitable for riding on smooth pavement. It usually has skinny tires with a very light tread. Road bikes usually have handlebars that are designed for comfort in long rides, This may sacrifice a little of fine control that you’d get with a wider flat or riser bar. Bikes made for kids from 4 to 9 years old. Can you Remember the freedom, fun, and sense of accomplishment your first bike triggered? Well, these days, kids can share that excitement too at an even earlier age with a massive collection of kids’ bikes and equipment. From toddler-friendly walk bikes to pint-sized helmets, there is everything kids need to enjoy an ultimate bike ride. A dirt bike is an off-road cycle built to be lightweight, rugged, fast, and nimble. Several models of dirt bikes are made for different purposes, from touring to racing and beyond. Size and function of a dirt bike depends not only on the type of riding being done, but also on the person riding the bike. Dirt bikes feature knobby or semi-knobby tires, which have a tread tough enough to handle varied terrain from gravel to mud, smooth dirt roads to snake twisty trails. What is an electric bike and how does it work? Electric Bikes are a custom bicycle frame with pedals like your old fashion bike, but include an electric motor, usually in the form of a hub, a mid-drive motor or belt drive connected to the rear wheel. They allow you to either pedal the bike or leverage the power of a battery and motor drive system., I deal for easy fun, those with some health issues or just being lazy but want the ride. What is a tricycle bike? A tricycle bike is a 3 wheel pedaling or electrically assisted bike, It’s made for comfort and stability. It is very safe to operate and effective as an exerciser. In tricycles, you never have to worry about easy flipping to either side. Tricycle has been around for decades, and now that an electric motor is added to assist the rider when the biking get tougher, it is very suitable for those with disabilities. They can hop and go around for some fresh air or even buy groceries from nearby stores. The most popular, you see them around every day. They are very fast, very noisy, stylish, powerful and run in price from hundreds to the tens of thousands of dollars. What is a fitness bike? A fitness bike is widely defined as a stationary bike. these bikes are styled like your old bicycles like urban, road, mountain, triathalon, etc. It is mostly used for the purpose of fitness at gems and homes alike. It is suitable for those who love to bike with safety at their homes or pro fitness gems. They can run a price tag from hundreds to thousands of dollars. What the hick is a cruiser bike? 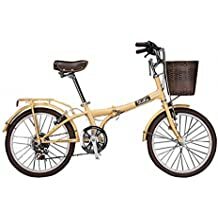 A cruiser bike, Also known as the beach cruiser bike is a bicycle made for casual riding, especially on beaches and surrounding shore areas. They are similar to hybrid bicycles and mostly used for recreational purposes. It is very important you go to a trustful source to buy your bike, whether online or in store. Be patient, Do your research and homework, read comparisons between bikes. Make sure you get Free shipping, make sure of a clear return policy. some Retailers may not accept returns for this type of merchandise, but rather fix your bike instead. Just like with cars, you need to find a dependable way of getting parts and accessories to get your bike back alive if something goes wrong in the future. It is wise to buy extra warrantee, the longer the better. You don’t have to worry about troubles down the line. Amazon is a very good source of bikes and reputed for excellent customer service. In here you can search through the biggest bike collection anywhere in the world. If you are new to bikes please take some lessons before jumping on top of your bike. Bikes are the most dangerous machines in the world, a bike accident is always dramatic. So think twice before you purchase any. Ask yourself if you truly want a bike for you or your kid. Never forget to wear your helmet, this could mean the difference in the world. Hope this was of great help, if you need any further assistance or want to add to this topic and help others, feel free to do o in the comment box below.